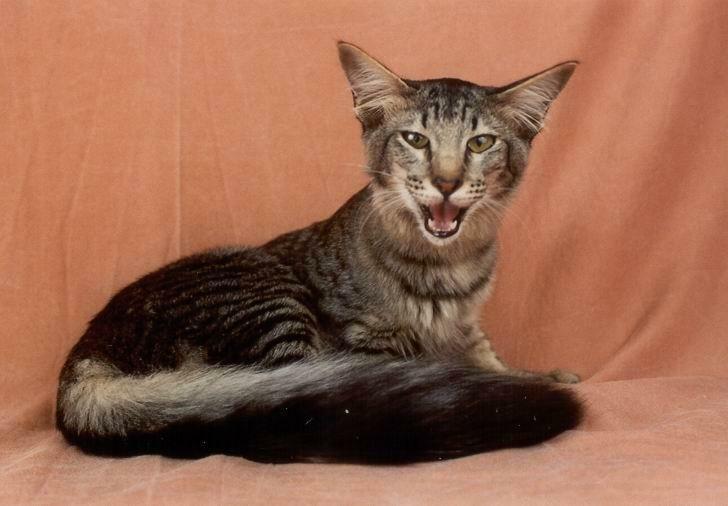 The Oriental Longhair is a domestic cat, belonging to the Siamese breed. It is related to the shorthair variety and shares some physical traits, except that its long and tubular body has a longer and softer coat. It has almond-shaped green eyes, but its white variety can be blue, green, or odd-eyed. 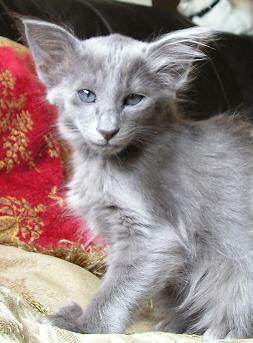 This sleek, sturdy cat is characterized by a lanky body with large ears and a wedge-shaped head. However, do not let its thin and slender stature deceive you. Its muscle strength and surprising body weight make it a powerful and hardy breed. 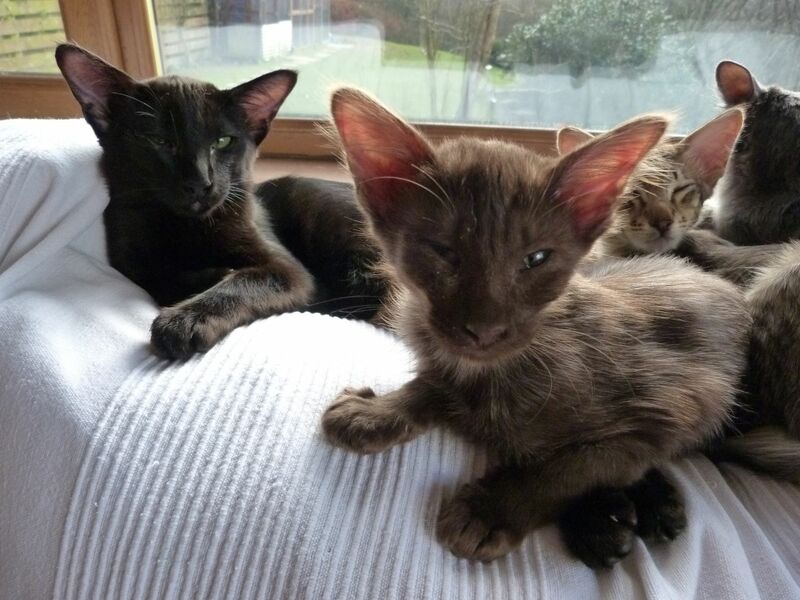 The oriental cats were created artificially in England back in 1950 when the breeders were restructuring their breeding programs. 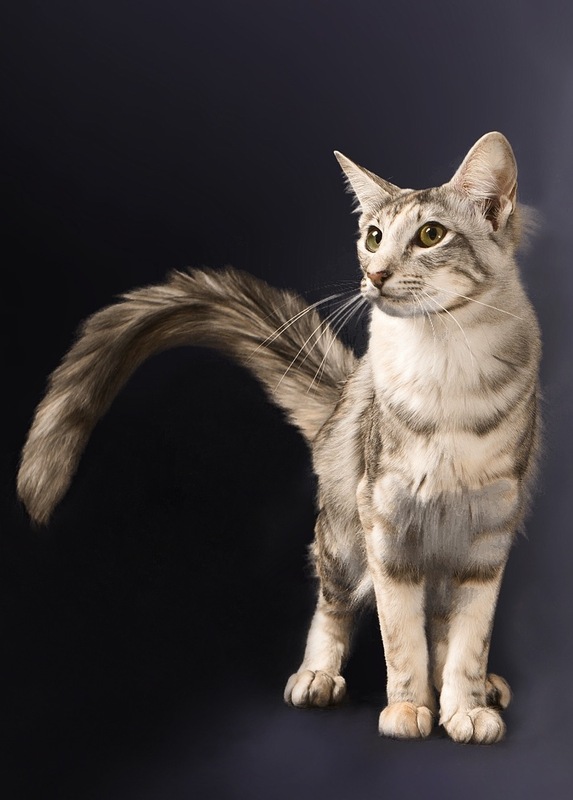 The oriental longhairs and shorthairs were first developed by crossing the Siamese cats with British Shorthairs, Russian Blues, and the Abyssinians. The resultant cats did not have point coloration, and they were crossed again with the Siamese. Since the point coloration in Siamese cats is a recessive trait, pointed kittens were produced in few generations of breeding. Those crosses with the best Siamese color were added into the breed of Siamese cats, but the non-pointed cats became the predecessors of the modern Orientals. 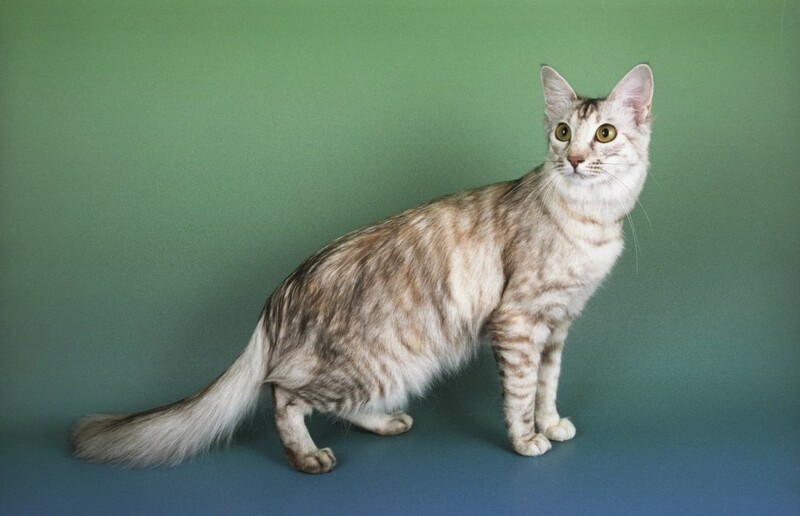 With the development of different color variations including the Spotted Tabby, Havana (chocolate), and the Foreign White, all the non-pointed varieties were categorized as the oriental longhair/shorthair. The Orientals were introduced in the US later in the 1970s. These lively and intelligent cats love to play with their toys all day. They can keep themselves busy if provided with cat toys like organic catnip bins, rattle mice, and even a cardboard box. Most are good fetchers that enjoy playing a game of fetch with their owners. Being inquisitive by nature, they are often seen jumping and climbing high up to explore the shelves and cupboards. These cats are not afraid to face challenges and show great courage when they are up against larger dogs and cats. The sociable Orientals like to be in company with humans and show great devotion to their owners. They mingle freely with children as well as other pets. They love human attention, hopping from lap to lap and demanding to be caressed and petted. Some of them may have a special affection for one of the family members and may avoid strangers. They make a wonderful pet for those looking to keep an interactive, entertaining, and faithful cat. 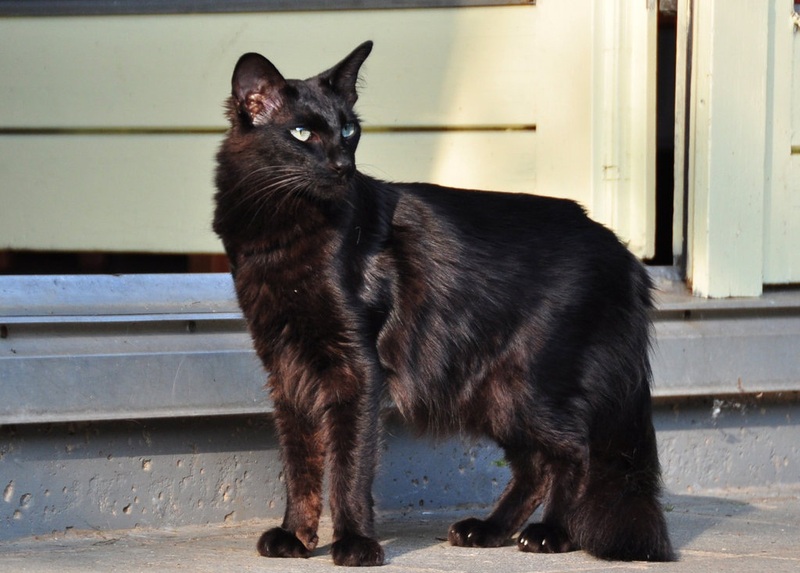 A fair amount of maintenance is needed to keep its long and silky coat healthy. Since it sheds quite frequently, regular brushing and combing remove dead hairs, reduces the chances of matting, and promotes blood circulation. Although it often licks its coat to keep itself clean, you may use a damp cloth to wipe its fur gently, which will retain its shine and gleam. Clean its ears as needed and trim its nails in every two weeks. Brushing its teeth regularly with quality pet toothpaste will ensure sound periodontal health. 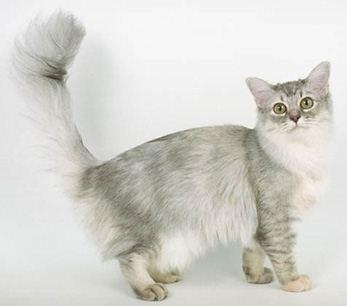 The oriental longhair cat is generally healthy with no specific health concerns. However, check for some fatal health issues that are common in its Siamese parent including dilated cardiomyopathy (reduces contractions of heart), hereditary liver amyloidosis (may cause liver failure), and neurological disorder (causes crossed eyes). Always ensure that your kitten has a sound health history. Since the Oriental is an active cat, it needs 10-15 minutes of activity several times each day. Interactive playing sessions including games of fetch will keep your pet in shape both mentally and physically. You may provide it with cat trees and scratching posts to push its climbing instincts. These smart cats are easy to train as they do not need a large number of repetitions to follow their owner’s instructions. Socializing and house training the kittens will keep away behavioral problems that may develop in the future. Being agile and energetic, it needs nutritious food that can provide 80Kcals of energy per kg of its body weight each day. A diet based on protein with low amounts of fat is necessary for maintaining its body type. These British Angora cats were later renamed by the cat fanciers to avoid any confusion with another breed called the Turkish Angora. They love to cuddle up with other cats of the same breed and are often seen sleeping in a heap. 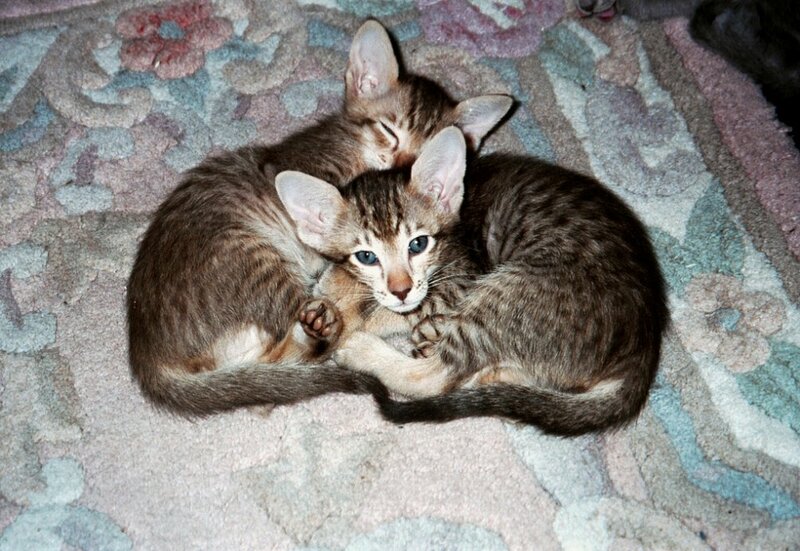 These Oriental cats can have more than 600 combinations of colors and patterns. Published on July 11th 2015 by Jack Steaven under UK Cats. Article was last reviewed on 26th May 2017.